Decades ago, if you lost a tooth, your options were whether a fixed bridge or removable dentures. But thanks to modern technology, today there is dental implant. Dental implant is a dental care procedure where a periodontist surgically places an artificial tooth into the jawbone. It is an amazing long-term solution for tooth replacement since the replacement teeth is made to match your natural teeth. Improved oral health – With dental implants you don’t need to get other teeth reduced, like with tooth-supported bridge. The teeth close to the implanted one stay intact, improving long-term oral health. Convenience – Unlike removal dentures, dental implants eliminate the shamming inconvenience of removing dentures, as well as the need for messy glues to keep them in place. Durability – Dental implants are very durable and can last for long time. With proper care they can last a lifetime. Easier eating – Removal dentures tend to make chewing difficult. Dental implants acts just like your teeth, allowing you to eat any food you may want without pain and/or discomfort. Better look – Because they are designed to be permanent, dental implants look and fell just like your own teeth. They will bring back your perfect smile, making you feel and look better. Improved speech – Poor- fitting dentures can slip within the mouth, causing you to slur or mumble your words. Dental implants allow you to speak without the teeth- slip worry. What to expect during a dental implant procedure? Dental implants are not fast dental care procedures. 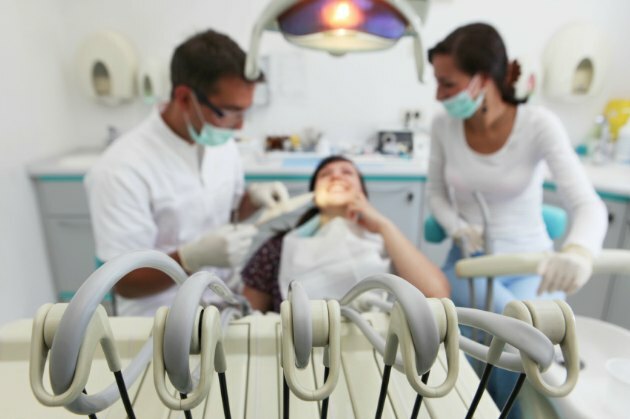 They require a complete dental exam including x-rays, and molds made of your mouth. It also requires a treatment plan, which you will have to work closely with your dental care provider in order to be created. Before the procedure, your dentist will analyze the number of teeth to be replaced as well as the condition of your jaw bone. Once the procedure is completed, he/she will give you instruction on how your implanted teeth should be cared, which is basically the same way as with your own teeth: brushing and flossing to avoid plaque. Placing a dental implant involve surgical procedures and can last from three to nine mounts. Though it is a long procedure, much of the time will be spent on healing and allowing the new bone grow in your jaw. First a dental implant cylinder will be placed in your jawbone. Then will come the healing period – which vary from patient to patient. Once healed, an abutment will be placed and next the prosthesis or crown. Anesthesia is applied during the procedure for pain control. For more detailed information, talk with you dental care provider. He/she will will be able to answer all your question and tell you if dental implant is right for you or not. Previous Entries Things You Never Knew About Your Smile Next Entries Looking for mechanic shop?